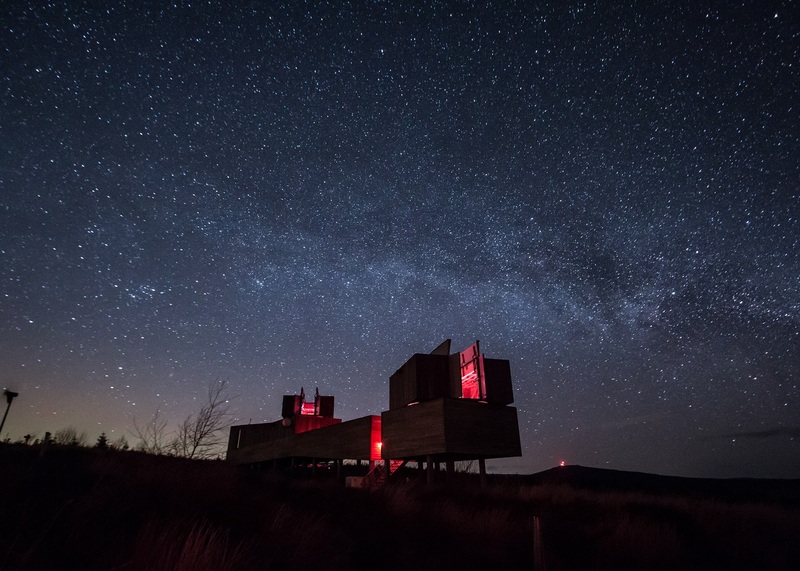 Come and join our inspirational team of astronomers as we observe the darkest of night skies above the internationally renowned Kielder Observatory. This late night event is timed to coincide with a new moon and when the skies are at their very darkest. From our observation deck the heavens look astounding with the skies awash with stars and the Milky Way arching overhead. Weather permitting, we'll have our comfy two-seater "moon chairs" out on the deck with blankets for you to snuggle up under what must be the most inspiring and romantic views of star fields and clusters anywhere on our planet. Within the observatory we will reveal distant objects through our large aperture telescopes including planets, galaxies, star clusters and nebulae all with the expert guidance of our friendly and knowledgeable astronomy team. Based on your feedback we have reduced the number of visitors for this event to 20 spaces to ensure you get maximum time at the telescope and an intimate discovery session with our most experienced astronomers. The ticket price for this event reflects the cost of hosting these extra-special events -- there will be free hot drinks served throughout the evening (in a free to take home Kielder Observatory mug!) and should the skies be cloudy you will be entitled to a 30% discount on your next booking if we are unable to observe through the telescopes. However the evening goes you'll receive a first class experience at the UK's premier public observatory!